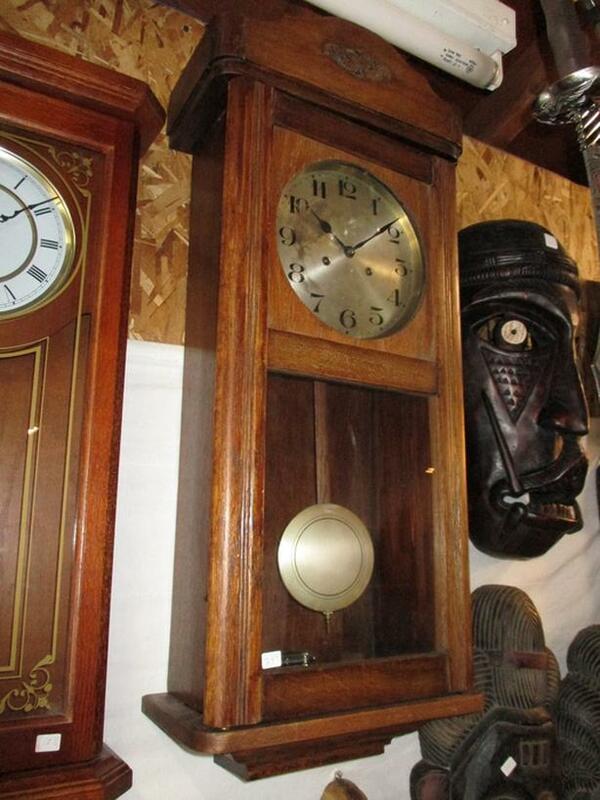 THIS IS A SPING WIND PENDULUM CLOCK. ONE FULL WIND LASTS 7 DAYS. IT GONGS ON THE HOUR AND HALF HOUR. IT IS IN AN OAK CASE. IT IS 13 INCHES WIDE, 6 1/2 INCHES DEEP AND 31 INCHES LONG. IT WAS RECENTLY CHECKED OVER BY A WATCHMAKER .